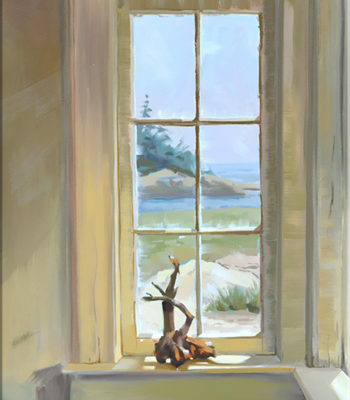 An evening energy from the setting sun is seen in this coastal landscape painting. 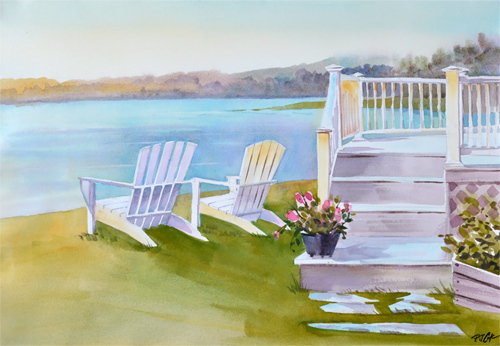 Adirondack chairs and a deck with flowers are the focal point in this pretty original watercolor. 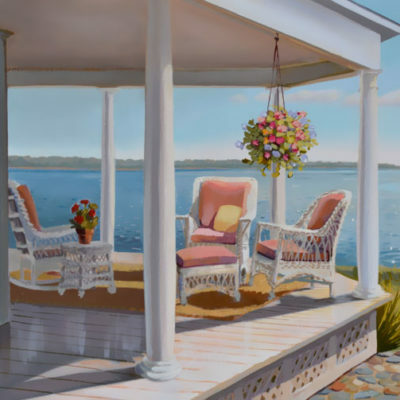 When you look at this painting you would like to be sitting in one of those chairs watching the evening light fade into night. Artist Notes: This landscape art painting is an original work of art by PJ Cook. 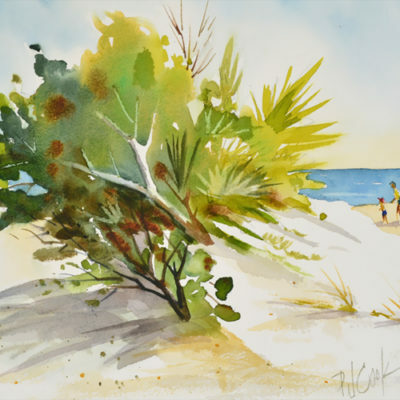 Original watercolor is 14″ x 20″ size. Professional materials used throughout. Signed by the artist front and back. Can be purchased with a quality mat and picture frame, contact for details. Otherwise painting sold unframed with free shipping. Thank you for your interest in my original art and please contact me with any questions.